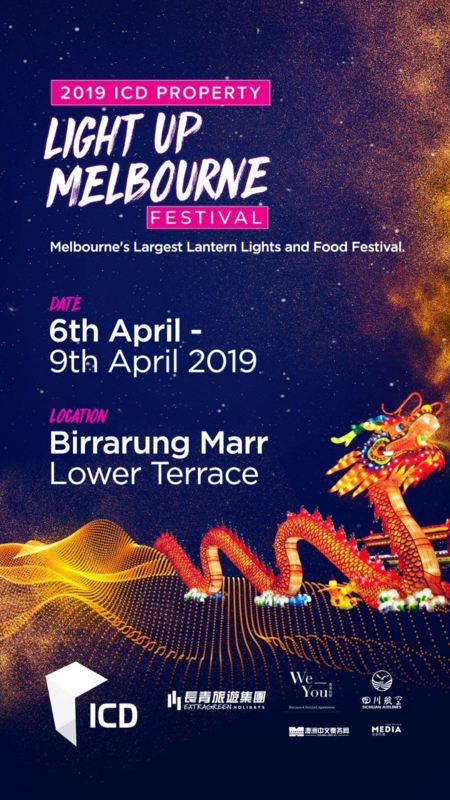 Festival organiser Eddy Liu said the Festival will host a number of different life-scale lanterns – including the centrepiece, The Eternal Dragon – which symbolises good fortune, strength and nobility, and a fleet of illuminated majestic cranes – representing longevity, peace. The 4 day Festival will have a huge range of colourful market stalls including a ‘Little Sichuan’ area where you can taste the very best of Sichuanese cuisine. There will be food trucks, giveaways, amusement games, stages with a full weekend of entertainment. ICD has prepared a special brand experience zone filled with delightful entertainments, please come join us to make your experience even more memorable!